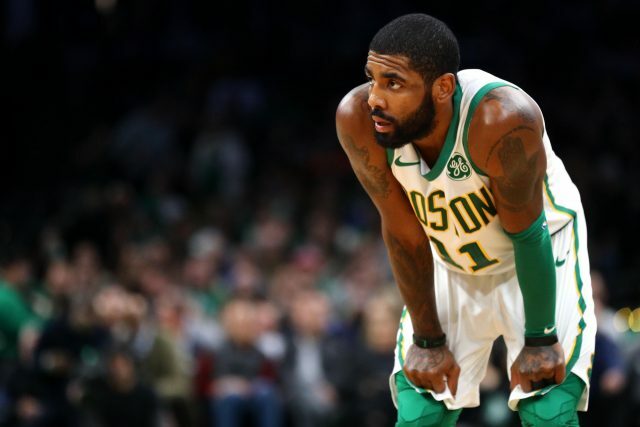 The injury bug bit the Celtics yet again as Kyrie Irving will miss Monday’s game in Boston against the New Orleans Pelicans. Irving is dealing with right shoulder soreness and will miss his second game of the season. He is averaging 21.8 points and a career-high 6.4 assists per game in 24 games thus far this season. In addition to Irving, the Celtics also announced that Aron Baynes and Guerschon Yabusele will also miss the game against New Orleans. Both players are dealing with ankle sprains, although Yabusele is expected to miss a significant amount of time and Baynes is expected back much sooner. To complicate things further, both Al Horford and Gordon Hayward are doubtful for tonight. Horford is still dealing with a sore left knee, and Hayward is battling an illness. Horford missed the Celtics’ last game against the Bulls on Saturday night as well. The Celtics put their five-game win streak on the line tonight against the Pelicans, who sit at 14-14 and 11th in the West. The Celtics beat the Pelicans 124-107 several weeks ago, but this Celtics lineup will be significantly undermanned against Anthony Davis and company.